With a global expansion plan for over the next few years, investing with Dunkin' Donuts is a sure way to earn fast cash without the heavy constraints of large capital per store. Are you interested to invest with Dunkin' Donuts? Are you looking for more information on starting a Dunkin' Donuts franchise? Since the 1950's, Dunkin' Donut has grown to more than 8,300 worldwide. In the US, 36 states hosted some 6,000 stores, which are owned by franchisees and the main company. What better way to start a business than to join the global Dunkin' Donuts expansion. First question comes to mind, how much do one need to start a Dunkin’ Donuts franchise business? All candidates must have at least $750,000 liquid assets and a net worth not less than $1.5 million. This requirement still depends on the number of store to be purchased in the market. Candidates should also commit themselves in developing and owning at least five outlets, depending on the area of responsibility. They must also have passion for food and operations excellence, and a dedicated time and effort for the business. A clear understanding of real estate progress should also be necessary. To qualify as a franchisee of the company, Dunkin’ Donuts needs business people to have an adequate capital to meet the aggressive expansion plan. They should also be a creative and manager-type of people to effectively run, recruit, train, motivate, and retain staffs. The person must also have a very good understanding of the cultural development and progress in his/her area. The Total Investment cost of one franchise can reach from $255,700 to $1,100,000 (Initial Franchise Fee of $40,000 to $80,000 already included). The company will also deduct around 5.9 percent for royalty fee to the franchise’s annual profit. With more than 8,300 stores worldwide, the company has become one of the top businesses in the market in the “brewing” category. The brand name itself serves as a very good stepping ground to the franchise. With hundreds of million in patronages, investing in a Dunkin’ Donut franchise is surely a very rewarding business venture. Dunkin’ Donut also offers potential clients with either individual franchise or corporate investment. This can range from five stores agreement to regional management. The company’s website also claims that franchising opportunities are so in demand that people are encouraged to “grow with the company” and invest now. Dunkin’ Donuts offers staff training. A round-the-clock support is always available to all franchises under its name. Your staff will be subjected to extensive technical and operational training for best financial result all the time. Management training can also be provided to you and your management staff should you need one. Annual convention and regional seminars are also available. Other support available will be made through Newsletter, Toll-free phone line, Grand opening, Meetings, and Security/safety procedures. National media and Regional advertising will be made available once the franchisee signed the contract with the company. Other supports like geographic location and site requirements will be handed down by the company depending on the qualified franchisee’s specification. Financial incentives through banks will be able to qualified franchisee. Why not a donut shop when we all need it every morning, do you want to start your own donut shop? Read this article to find some valuable tips on how to start a donut shop. 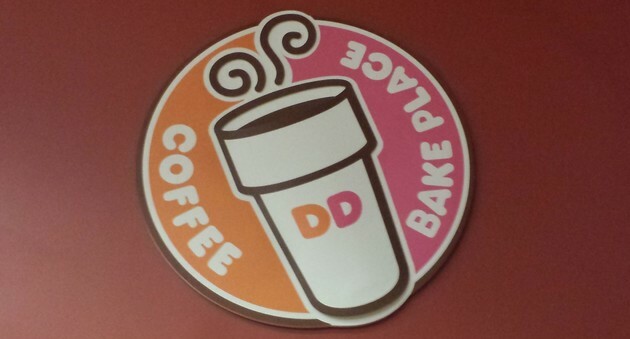 Could you please let us know refurbishment/remodeling cost of dunkin donut store size(2000 sq ft)? i want to start a franchisee in hyderabad, india . so please let me the details and the contact numbers. I WANT TO STARTUP DUNKIN DONUTS BUSINESS IN GOA. CAN YOU PLEASE CLARIFY EXACT SPACE NEEDED FOR THE OUTLET AND THE EXACT INVESTMENT FOR A CLEAR PICTURE. I want to start a dunkin donuts in New York City. I want to know what are the requirements and where to go to get the license and etc. please reply. staten island ny next to a very busy contractors wholesale big box business. Staten island will be very busy with home construction for the next three years due to Sandy. i would like to franchise dunkin donuts cart. my location is pasig palenke..how much the cart? I want to start up Dunkin donuts Business in Sayreville Nj. Can you please clarify Exact space needed and the Exact Investment for a clear picture.please. How can i start the buz and how do i obtain the license to operate anywhere in the world? hi, we are into commodities business, i want to inquire about cost of opening dunkin doughnuts in gujarat. I wish to open an outlet in baroda. Can you pls send me the further details. I want start in Hyderabad. want to get detailed information about how to start and investment. I would like to open a Dunkin donut franchise in Ahmedbad(india's 7th largest metropolitan) Gujarat as soon as possible and also looking forward to opening more stores in future. Looking forward to hearing from someone.